Working fine with Samplitude and Sequoia 12 and 13. I just had a look and it seems like a very interesting concept to me. Can you tell from your personal experience what it has done for you since you've started using it? Did it speed up workflow? 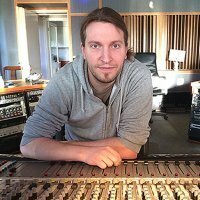 How's the quality of the SSL compared to other emulations? And since it doesn't have a fader, any idea whether I could still have my Faderport running at the same time? C1 is a bit different to other HW controller concepts. First and foremost it's not a DAW controller, it only controls it's own software. For DAW control I have a Faderport standing next to it. This software is basically a complete channel strip with additional features which contains different sections, like shape, eq, compressor etc. The SSL emulation is very near to the original, I find it better than any other one I've heard so far. There will be other channel strips coming in the near future. You can replace any section of the SSL strip by another softube plugin, for example you can use the Trident A-Range EQ and/or the FFT compressor instead of the SSL eq and comp. Those selections can be made for each channel individually and all the software can be controlled by he hardware, with the GUI staying the same all the time. So you can make up and save your own channel strips as well. I can't really say anything about it having changed my workflow as such because I don't have anything like that. Now, this also means that I don't necessarily use C1 in every project. But if I use it, it's quite fun and really gives me some sort of analogue feeling, much more than any other controller I've tried so far. Probably because the (fixed) layout is completely logical to me, much more so than any other controller with a bunch of knobs in one place that I can assign myself. I also find myself using less mouse and keyboard when C1 is involved, but I also have to say that this was never the reason for me to get it. I just like the concept, don't ask me why, and I really love it since I have it, don't ask either. Seems like a whole lot of money for a dedicated controller ('dedicated' meaning it only works with Softube plugins) - it would be a whole different story if it had some sort of compatibility with all plugins. Another 'con' in my view (just from the specs and reviews - I don't own one) is the lack of a volume knob. There are lots of people out there that do not use a mouse or keyboard at all when using C1. I just said I'm using both. But I'm not getting into any such discussion about good or bad anyway, neither any discussion about controlling anything else than it's own software. To me it sounds good, feels good and is fun to use. That fulfills most requirements to find a place on my desk. It should be made clear, though, that you do need the mouse and keyboard in addition to the C1 because it only controls the softube plugins. In other words, the C1 is a plugin bundle from Softube with a dedicated hardware controller for those specific plugins and nothing else. I agree 100% that if you're happy with it, that's all you need. "C1 is a bit different to other HW controller concepts. First and foremost it's not a DAW controller, it only controls it's own software. For DAW control I have a Faderport standing next to it." Thanks for the info, that sounds very interesting indeed. I've also been looking for a while for a channelstrip solution I can use ideally on Mac and PC (on Mac the Metric Halo is quite nice), especially in some SSL kind of style. I'd love to test it somewhere. Will check options. After my experiences with proprietary systems like Focusrite Liquid Mix and UAD, I'm not buying into them anymore.